I’m reading The Tyranny of Cliches by Jonah Goldberg, and I hope to review it here soon. For the time being, however, check out this ReasonTV interview with Goldberg. WARNING: Occasional expletives. Several years ago, I received a book through the mail that argued a startling thesis. The book—two books in one, actually—is A Geocentricity Primer by Gerardus D. Bouw and The Geocentric Bible 3 by Gordon Bane. It argues that the Bible teaches geocentricity: “the earth is fixed motionless at the center of the universe.” By contrast, modern science teaches heliocentrism: Earth revolves around the sun and rotates on its axis. Since the Bible is God’s Word, the authors argue, geocentricity is true and heliocentrism false. I find it odd that anyone would stake the inerrancy and authority of Scripture on a particular scientific theory, especially a disproved scientific theory. Actually, I find it blasphemous, as it makes God out to be an incompetent astronomer. But I also find the authors’ error instructive. So let’s consider their argument. Geocentricity is a biblical doctrine. Whatever the Bible teaches is true. This is a deductive argument. If its conclusion follows logically from its premises, then it is valid. 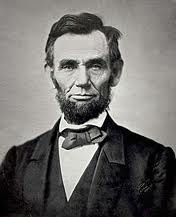 If its premises are true, then it is also sound. Clearly, the geocentrists’ argument is valid. The question, then, is whether the argument is also sound. Since Premise 2 is true, the question must be whether Premise 1 is true. In support of Premise 1, Bouw cites Psalm 93:1 (KJV), “the world also is established, that it cannot be moved”; 1 Chronicles 16:30 (KJV), “the world also shall be stable, that it not be moved”; and Psalm 96:10 (KJV), “the world also shall be established that it shall not be moved.” These are not the only Scriptures he cites, but they are representative. Quoting Scripture is not enough to prove Premise 1, however. For example, I could quote Proverbs 14:30 (KJV) to prove that envy is the cause of osteoporosis: “envy [is] the rottenness to the bones.” In fact, however, “Osteoporosis occurs when the creation of new bone doesn’t keep up with the removal of old bone.” Envy has nothing to do with it. The proverb writer is not speaking literally here, but figuratively. This is an important point. To prove Premise 1, geocentrists cannot simply quote biblical verses. They need to demonstrate that those verses should be interpreted literally, rather than, for example, figuratively, idiomatically, phenomenologically, or by some other non-literal means of interpretation. Given that many of these tools come from outside the Bible—the Bible doesn’t teach its own grammar, for example, nor does it provide a systematic treatise on logic—I don’t see why science itself can’t be used as a tool of interpretation. If we know, from medical science, that envy is not the cause of osteoporosis, why can’t we know, from astronomy, that Sun does not revolve around Earth? And if we know that, interpret the Bible accordingly? Please don’t misunderstand me. I’m not saying that science corrects Scripture. Scripture is God’s Word, His personal revelation. Science is a human interpretation of God’s world. Because humans cannot correct God, science can never correct Scripture. But good science—as opposed to “junk science” or “the latest scientific study”—can correct bad interpretations of Scripture, can’t it? Can’t it be an aid to interpretation of Scripture? I see no reason why not. The website of Whole Person Counseling quotes Scripture in precisely this way, showing that envy and a variety of other spiritual conditions are “factors which produce unhealthy bones” (http://www.wholeperson-counseling.org/health/bones.html). Robert Spencer, Did Muhammad Exist? An Inquiry into Islam’s Obscure Origins (Wilmington, DE: ISI Books, 2012). $27.95, 254 pages. Was Islam “born in the full light of history,” as Ernest Renan claimed? Or is its origin “covered” in the “mystery” that Renan believed shrouded all other religions? 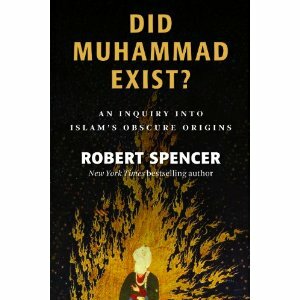 Robert Spencer argues for “Islam’s obscure origins” in his new book, Did Muhammad Exist? The “canonical story” of Islam’s origins, accepted by all Muslims and (arguably) most non-Muslim scholars begins with the birth of Muhammad in 570 C.E. in Mecca, a hub in the trade routes from east to west. In 610, Muhammad began to receive monotheistic revelations through the angel Gabriel that he preached to Mecca’s polytheists. In 622, because of the polytheists’ opposition, he and his followers made hijra, or emigrated from Mecca to Medina, where he established the model Muslim community. In 630, he and his followers captured Mecca peacefully and destroyed its idols, establishing Islam as the religion of Arabia. In 632, Muhammad died. United in faith and led by the four “rightly guided Caliphs,” the Arabs rode forth from Arabia, conquering Syria, Armenia, Egypt, North Africa, and Cyprus, laying siege to Constantinople, and pressing into modern-day Pakistan and India—all within decades of the Muhammad’s death. The Qur’an is the record of the revelations Muhammad received, and the ahadith (singular, hadith) are the recorded memories of his authentic words and deeds. The “revisionist scenario” that Spencer outlines argues that “the Muhammad of Islamic tradition did not exist, or if he did, he was substantially different from how that tradition portrays him.” Rather, Islam arose from the political needs of the Arab conquerors. “The realm of political theology, then, offers the most plausible explanation for the creation of Islam, Muhammad, and the Qur’an.” The Arab conquerors practiced an “Abrahamic monotheism” in their early years, one that was friendly to Christians especially. Indeed, Spencer argues that the Qur’an betrays the influence of a heretical (because nontrinitarian) form of Syriac-speaking Christianity. During the late Umayyad and early Abbasid caliphates, however, the figure of Muhammad began to rise to prominence, the form of the Qur’an solidified, and ahadith about Muhammad proliferated. The Arab empire needed an Arab religion, and Muhammad fit the bill. Obviously, this revisionist scenario is devastating to Islam if true and potentially blasphemous if false, at least to Muslims. What evidence does Spencer provide in favor of it? Two kinds: silence and contradiction. Spencer argues that the earliest biography of Muhammad appears more than a century after his death. Early accounts by the conquered people don’t mention “Islam,” “Muhammad,” or “Qur’an,” instead referring to Muslims (whom they never call “Muslims”) as “Ishmaelites,” “Saracens,” “Muhajirun,” and “Hagarians” (i.e., descendants of Hagar). Numismatic and inscriptional evidence don’t mention Islam or the Qur’an. These silences are telling, Spencer argues. They are contrary to what would be expected if Muhammad, his revelations, and his words and deeds lay at the foundation of the Arab conquests. Then there are the contradictions. Some coins and at least one building from early in the Arab conquest include a cross, which contradicts later orthodox Muslim denials of Jesus’ crucifixion. The canonical story argues that the Qur’an was collected in the 650s under the caliph Uthman, but conquered peoples never mention it until the 8th century. Moreover, in the 690s, the claim was made that it was collected during the caliphate of Abd al-Malik. Explicit references to “Islam” and “Muhammad” began to proliferate in the 690s, and ahadith began to proliferate in the mid-700s. So many ahadith were generated, in fact, that even Muslim scholars distinguish between authentic and spurious ones. Muhammad was a Meccan, but Mecca was never a center for trade and pilgrimage. And portions of the Qur’an betray the influence of a heretical Syriac-speaking Christian group. What, then, to make of Did Muhammad Exist? Arguments from silence are tricky. The absence of evidence is not necessarily evidence of absence. And they presume that our literary and archaeological records are complete enough to know what should be but is not present. Furthermore, the contradictions themselves are judgment calls. For example, a Syriac background to the Qur’an is possible—all things are possible!—but no Muslim scholar and few scholars of Islam find it convincing. Between the tricky logic of arguments from silence and the scholarly disputes that surround some of the contradiction arguments, the safest conclusion to draw is that Spencer has drawn attention to problems in the canonical story of Islam’s origins, without providing a more convincing alternative, however. In other words, Islam was born in the light of history, but not the full light. There were shadows too.